April 2nd, 2019 is the National Observance of Equal Pay Day. It is the day that averages together the incomes of all racial groups for the 80 cents on the dollar gender wage gap to signify how far into the year women must work to catch up to what men earned in 2018. Equal Pay Day for white women will be on April 19, then (4 months later!) Black Women’s Equal Pay Day will be on Aug. 22, Native American Women’s Equal Pay Day on Sept. 23, and Latinas’ Equal Pay Day on Nov. 20. 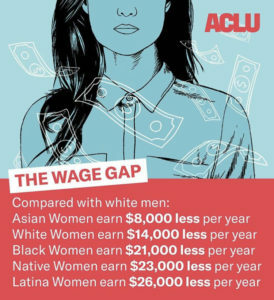 While an entire series could be devoted to the disparity in women’s pay based on ethnicity, today I’m focusing on a unique kind of pay gap – the maternal pay gap. What is the Maternal Pay Gap? In their late 20’s to mid 30’s, a pay gap between men and women appears and increases rapidly over the next two decades – because it’s mainly during this time women have children (Claire Cain Miller, NYTimes, 2017). Unequal division of work in the home, women not taking promotions or risks in preparation for the possibility of having children, and employers consciously or subconsciously holding back women because they assume they will become pregnant or “need” family leave contribute to the maternal pay gap. 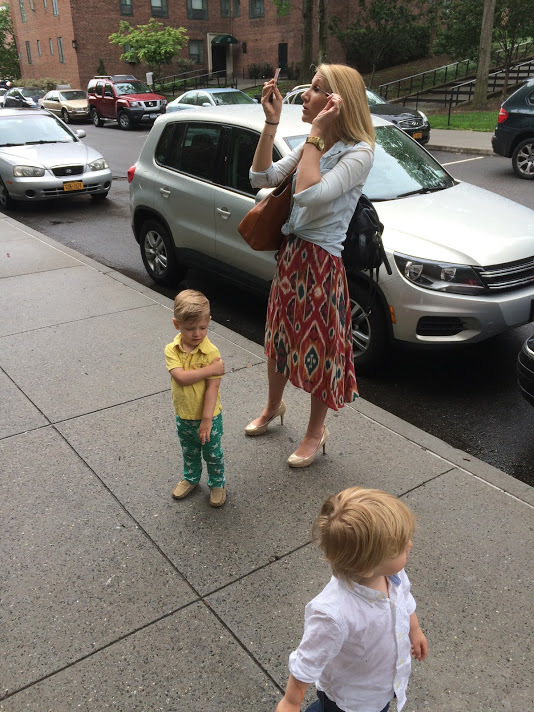 Mothers of the world – raise your hand if you find yourself somewhere in that cycle? I left an arguably pinnacle job after having my third child because we just couldn’t afford fulltime childcare for three children in New York City. (A reality that encompasses much more than a pay gap, but no social economic issue exists in isolation.) My husband and I decided I would quit my job primarily because I made less than my husband….and thus the cycle is reinforced. “Are you having more children?” asked a white male interviewer to my shocked face in a final interview for a (less than desirable job) last fall. “I’m worried about her ability to do this job with 3 small children,” said another. “Well, she has kids.” still another. Mothers internalize and externalize such commentaries ALL.THE.TIME. Queue my interviewing in spankx to hide a 20-week belly. But you chose to become a mother! Some might say. Yes, I did. And I would absolutely do it again. 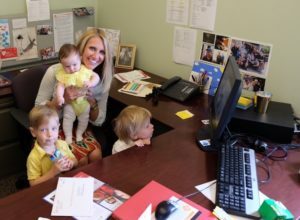 I can desire motherhood* AND imagine equality in the professional workspace in the same body. And so should all women be able to do — but we’ve a long ways to being there. Women (working outside the home and/or inside the home) how have you been affected by the maternal pay gap? Men, partners, and employers, how have you contributed to, or helped eliminate this discrepancy? How are we ALL, women, men, and gender nonconforming people hindered by the maternal pay gap? *I recognize the privilege I have as a white, heterosexual woman of good health and sufficient means to own the decision to have children and to have been able to do so. **A version of this article was first published on Raising Imagination April 10th, 2018.